Happy birthday! For your birthday, I got you a job. He is not made of dirt! He is (was) a beautiful piglet with exquisitely-groomed fur. And he has feet. 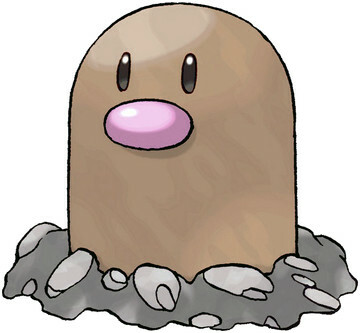 Dirt does not have feet. No worries, just letting you know it's there for whenever you have the time. Assuming you're the one who did the name. It's a good name. Not just Cheep Cheep Royale, but Eifie's Cheep Cheep Royale. I don't want to bug you, but just a reminder about closing this? Now that the other battle involving my Larvesta has concluded, I'm really excited to get my Volcarona, omg. Sooo I also realized that these quest things will cause a problem with the database because they involve players fighting things that aren't other players (or players not using their actual teams). I was thinking the easiest thing to do would be to make some proxy trainers with active squads consisting of the pokémon you can fight in that quest (so one might have two charizard and two blaziken with the appropriate items). That would potentially end up bloating the trainer list, though, and also look pretty weird sitting alongside actual trainers, so idk, maybe allow there to be some "trainers" who have slightly different rules applied to them, like they don't show on the normal trainer list? Sorry to drop that on you without consulting about it first and potentially making more work for you; I should have brought the idea up before releasing it. I should ultimately be able to help with or just do myself db code modifications if desired, I just seem to continue to be bad with Pylons at the moment. So MWPuppire messed up when buying pokémon and made them all male and wanted some changed to female... It looks like there's no way to do that from the ASBdb gui? So maybe you'd need to do manual queries to edit the gender. Let me know if you're down for that or not.